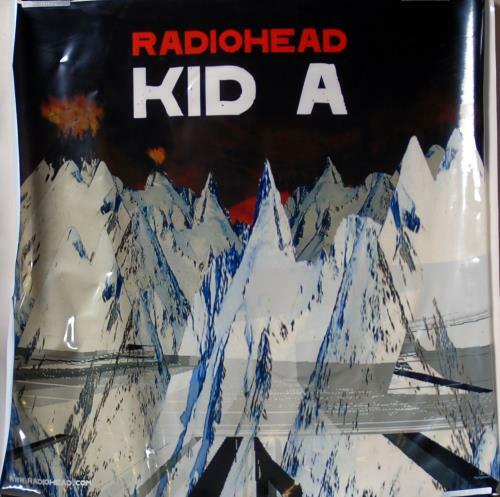 RADIOHEAD Kid A (Genuine year 2000 vintage Parlophone UK promotional-only PVC static-cling window display sticker. Will adhere to clean glass and can be peeled off. This remains largely unused and still has the original backing card, although ithas been removed at some point and reapplied to it. However, this doesn't affect what is otherwise a now rarely found window display, in near new condition. Perfect for framing and glazing if you don't fancy sticking it to a window! Measures 19.75" x 19.75" - will be shipped rolled). Catalogue No: 19.75 X 19.75"